As 21st century parents, you are busy… very busy. With a toddler pulling your arm here and there, it can slow you down. If you ignore your child, the worst happens – meltdown. You want to keep them entertained with something educational. How about apps? While apps might be entertaining, they can require a lot of data. Don’t worry, Phoenix Internet has your back. We don’t have any data caps and provide high-speed internet that is perfect for downloading apps and gaming! So, you need toddler apps to keep your kids entertained, and you need them it fast. 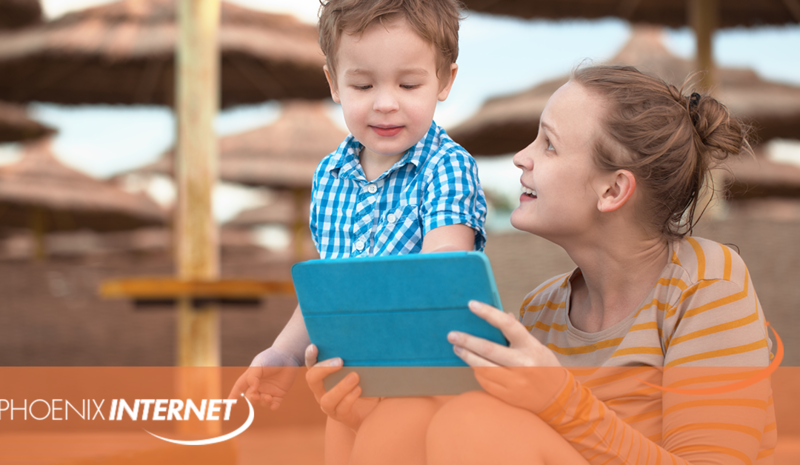 Hand them the iPad, tablet, or the smartphone and off they go. But if the apps aren’t any good, you can anticipate your child running back to you within minutes. That said, there are some things you still want and don’t want in apps that keep kids entertained. 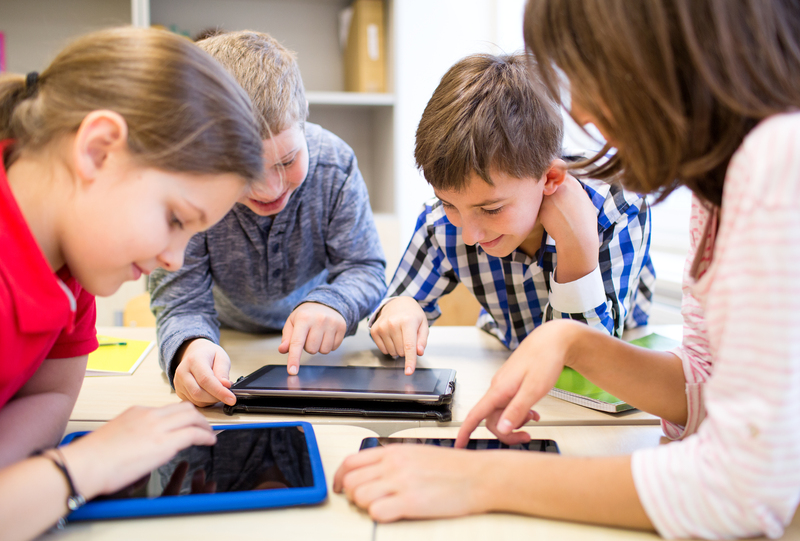 There are a number of top apps for kids that you can choose from, but the following safe kid’s apps are offered mostly free of in-app purchases, some are free and a few are inexpensive, but all can be enjoyed more than the average five-minute attention span. Breathe, Think, Do. This Sesame Street app teaches toddlers how to “chill” rather than explode in temper tantrums, and it does it in an engaging way that helps them think situations through. Sago Mini Ocean Swimmer. Does your toddler love the sea and everything under the sea? Fins the fish guides your child to discovery under the sea and subtly help your child understand the importance of following instructions. Pixel and Parker. A boy is missing his cat in this lovely story app. What kid wouldn’t want to help another kid find his cat? Complete with a board game, this app will entertain while teaching the value of working together. PBS Kids Videos. PBS Kids is a classic, and this app is the same. It harbors lots of free education material for any child who needs a lot of stimulation. Animal Memory Match Free. Start helping your child build his or her recall abilities with this fun and graphically entering memory game. There are different levels, and the “easy” level is definitely a good starting point for your toddler. 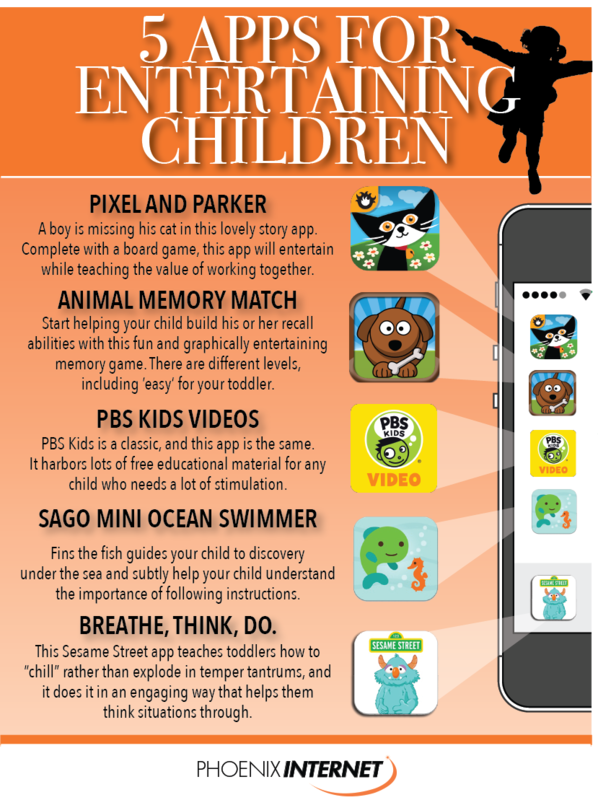 There are a lot of good apps out there for your toddlers — from toddler music apps free to toddler ABC apps free. There are many apps available that are free to download and are free of in-app purchases. There is an internet service provider in Arizona that has offered and will continue to offer high-speed internet service with no caps applied to your data use. At Phoenix Internet, we know all about toddlers. We know all about families. And we know all about the importance of quality internet services to make everyone happy. If you want to learn more about what we offer, contact us today.